The rejection of INEC’s guidelines for the 2019 elections by about 61 political parties was one of the highpoints of last week. INEC had penultimate week released the guidelines, which necessitated the meeting of stakeholders. But the meeting reportedly frowned on some of the provisions in the guidelines, which is yet to be addressed by INEC. 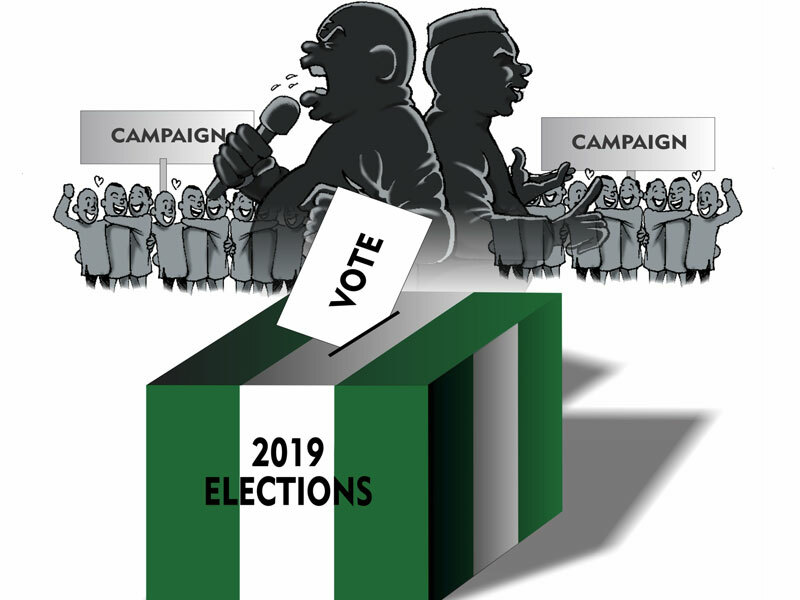 The issue of vote-buying, which INEC and the United states have continued to harp on is likely to remain constant till the time of the election and indeed, generating its own controversy. Although the United Nations claimed to be seeing increased prospects for a peaceful poll, the opposition PDP does not except the issue of Amina Zakari, a cousin of President Muhammadu Buhari, who has been handed a key role in the election by INEC is addressed. In fact, the PDP has since reported Zakari and INEC to the European Union (EU). There was also an increased clamour for the replacement of the Inspector-General of Police, Ibrahim Idris by some stakeholders, mostly members of the opposition parties especially since his time is up. 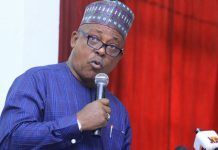 Also, last week, one of Buhari’s support groups, teased the camp of the presidential candidate of the PDP, Alhaji Atiku Abubakar, when it asked him to drop his presidential bid, saying the game was over. According to the Buhari Media Organisation, Atiku should consider throwing in the towel in order to avoid a shattering defeat at the polls on February 16, following defection of four top notch PDP members to the APC, among them a former PDP National Chairman Adamu Muazu; former PDP Deputy Chairman, Babayo Garba Gamawa and Bauchi State PDP Publicity Secretary, Yayanuwa Zainabari. Leadership of the foremost pan-Igbo group, Ohanaeze, unsettled the turf last week when it said it had not endorsed the PDP candidate, contrary to assumptions. Also, against insinuations of capacity, President Muhammadu Buhari has promised his party that he would campaign across the 36 states of the federation, when his party proposed zonal campaign in consideration of his health. Nobel Laureate Wole Soyinka took a former president of the country to the cleaners last week, saying he did not have the moral right to run down Buhari, at the same time, a former Lagos State governor, Bola Tinubu, who is leading Buhari’s campaign took a swipe at Atiku, in a manner consistent with his regular bashing of the former vice-president. These indications, without doubts, are evidence of a country in the thick of an electioneering period. This is why it would not surprise anyone how the equations in many states took stupefying turns in the week that just ended. One of the interesting pieces of news that filtered out of Ogun State last week was the decision by controversial governorship candidate of the PDP and senator for Ogun East, Buruju Kashamu that his supporters should move support to his arch rival, Ladi Adebutu for the governorship election. 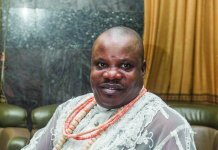 Although the matter is still in court, the decision by Kashamu to bow to Adebutu has been interpreted variously to have been informed either by some form of political trade-offs or battle weariness. Whichever one, that development might have altered significantly the political equation and calculation. 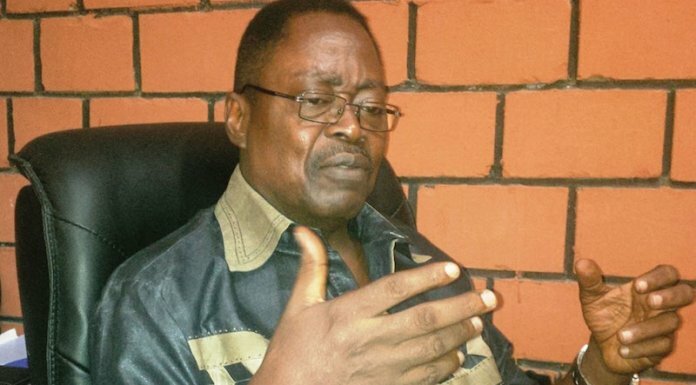 In fact, there are speculations that some staunch supporters of the APC candidate, Dapo Abiodun had begun to consider alliance with Adebutu in their estimation that their candidate might not fly. That, of course, would deal a great blow to the Abiodun rank especially in the midst of certificate scandal and allegation of attack on his campaign. Meanwhile, some cabinet members of the Ibikunle Amosun government resigned their positions last week, mostly to concentrate on their elections. This is as the candidate of the APM, Adekunle Akinlade, has continued to traverse the nook and cranny of the state canvassing for votes for himself and Buhari in a fashion no one else has shown to have the capacity to emulate. Definitely, the coming in of Adebutu has changed the equation. But more importantly, it has put Abiodun in a further distant position in the current rating in the state, with Akinlade still comfortably in the lead. The violent turn of the APC rally in Lagos last week has remained the talking point, days after what was supposed to be the kick-off rally of the governorship ambition of the ruling party’s candidate, Babajide Sanwo-Olu, was totally messed when rival motor park touts ceased the occasion to settle scores. That the rally turned out violent was not unexpected. The ruling party in Lagos has over time involved members of the various unions in its activities, so much that it sometimes plays them against each other in the bid to stay relevant and have them remain loyal to its leadership. There is no doubting the fact that the stabbing of Musiliu Akinsanya aka MC Oluomo, leader of one of the groups has unsettled the current equation in the state with respect to alternative security arrangement for the elections. How the APC is able to rise from this is what many are yet to see. In other news, the opposition PDP recorded some progress last week, when candidate of the party in the state, Mr. Jimi Agbaje and a leader of the party in the state, Chief Olabode George reconciled their differences. With both leaders now on the same page, the camp is further strengthened against the opposition for the battle ahead. Last week’s ruling by a Federal High Court sitting in Port Harcourt, which declared as illegal, null and void the direct and indirect primaries conducted by factions of the APC in Rivers State, has altered the subsisting equation in the state. With that ruling and except the appeal rules differently, Governor Nyesome Wike of PDP might return to government unopposed. To properly seal the misfortune of the APC, the court also restrained INEC from recognising any candidate of the APC for the 2019 general election in the state and ordered the commission to remove the names of all APC candidates from the ballot and other electoral materials. The court took the decisions in its judgments in two separate matters brought before it. Definitely, this might have killed the morale of many APC supporters, who had wanted a refined Tonye Cole to do the electoral battle with Wike and perhaps, alter the political trajectory of the state. That dream, however, may be forlorn for now pending the appeal, which may change the tide again. President of the Senate, Dr. Bukola Saraki, is definitely one of the actors on the watch list of the ruling party and this is as far back as the time he emerged senate president in 2015. Unfortunately for him, it appears the police as an institution had since been detailed to be on his case for this period hence he’s had running battle with the force. Last week, he raised the alarm that the Inspector General of Police, Ibrahim Idris, was after his life and that of his family, saying Idris should be held responsible if anything happened to him or his family. The Senate President made the allegations at a press conference in Abuja, where he cited an attack on his family quarters and also noted that IGP had posted three different Commissioners of Police to Kwara State in the last six months. In a swift reaction, however, the Force Public Relations Officer, Deputy Commissioner of Police, Jimoh Moshood, who appears to be in the same league with the IG, had come out to quickly describe Saraki’s allegations as unfounded. Although a majority of the people did not believe Moshood, because of his capacity to muddle up truth, a habit which comes natural for him, that Saraki might be contesting against the force is the narrative doing the round in the state’s political firmament. Kwara is one state many are looking forward to in the elections. Perhaps, by choice, Bayelsa had been quiet for some time as the countdown to February closes in. That position has changed and now, the masquerades are gradually coming out to the village square for their regular show. First, it was a former governor of the state, Timipre Sylva, who alleged that the incumbent governor, Seriake Dickson was plotting to create an artificial war between him and the Presidency. Sylva’s media aide, Julius Bokoru, said the first step was to put him on a head-on collision with the Chief of Staff to President Muhammadu Buhari, Abba Kyari, saying he was not in the business of petty rivalries within the same government, as being imagined by Dickson. But the governor replied saying Sylva was an unpopular and desperate politician, whose conscience remained his greatest threat, adding: “Somebody of the exalted status of a former governor is crying wolf where there is none and hallucinating that the governor reputed to be his political nemesis is after him. For certain, there is no governorship election in Bayelsa but there is going to be a fierce battle of relevance at the presidential election in Bayelsa and the outcome of that election, will show the way to other elections in the foreseeable future. But as both a PDP state and home to a former president, it may be difficult to undo the PDP in the state. Yet, it would be interesting to watch these things unfold. Governor Ifeanyi Ugwuanyi sure knows how to treat the opposition like kids in a competition he is confident to declare his own game. Since the journey to 2019 started, he has maintained the narrative that the state is solely PDP’s and in addition, that he could run on his own record. These things have been doing wonders to his campaign. Therefore, when the Chairman of Pentecostal Fellowship of Nigeria (PFN) in Enugu State, Bishop Godwin Madu described the gale of endorsements for his re-election by people from various walks of life as overwhelming and a sign of good leadership, he was believed to have merely spoken the mind of an average observer in the state. Nonetheless the reservation by anyone, there is a meeting point: Ugwuanyi is the man to beat. He knows his onions and there is a record to run on. Without glibly dismissing the opposition, it would take more than banking on federal might to defeat Ugwuanyi, in a state where everyone unanimously wants him and the camp of the opposition in disarray. It was not news to many, perhaps, when the Kano State Governor, Abdullahi Ganduje said last week that it was high time his government divulged all the alleged financial atrocities committed by the administration of his predecessor, Senator Rabiu Musa Kwankwaso, of which he was a critical part. Ganduje’s recent ordeal over allegation of bribery had been traced many times to Kwankwaso, an allegation that Kwankwaso had dismissed as untrue, saying he even tried to intervene on behalf of the governor for the videos not to be released. Ganduje and Kwankwaso, after over 15 years of sound friendship and working together, parted ways not long after Ganduje was made governor by Kwankwaso. Although the truth of their disagreement is not in the news yet, it is basically about interest and control. Thus, the February election is considered a rare opportunity for both men to settle their scores once and for all. Kano, like a few others, would offer an interesting spectacle in the elections. Like the scenario in Kano, the duo of Governor Aminu Tambuwal of Sokoto State and former governor Aliyu Wamakko of the state would settle their rivalry this March. Last week, Tambuwal at his kick-off rally said the state would deliver 100 per cent victory to the PDP at all levels of elections, despite effort by the APC in the state to distract the government from pursuing its goals and objectives. But the APC candidate, Ahmed Aliyu Sokoto, who boasted about unseating Tambuwal, urged the people of the state to vote for him and President Muhamadu Buhari for infrastructure development of the state. Election in the state is not only going to be a referendum about performance, but about an existential power struggle between the two leaders. Nothing captures the sad reality in Borno State as well as the whole of the North-east than the emotional breakdown of the Borno State Governor, Alhaji Kashim Shettima, when he broke down during his meeting with President Buhari in Abuja. According to reports, he wept profusely over unrelenting devastation of his state by Boko Haram terrorists, asking the president to do more to save the people from destruction by the terror gang. Shettima, while speaking to Buhari could not fight back tears as he chronicled the deadly activities of Boko Haram since 2013 and noted that the recent destructive acts of the terrorists were only comparable to what he described as the worst times of 2013, 2014. What this had done is put a lie to the official position of the government, which kept saying the insurgents had been decimated. Besides, with INEC not certain of an election in such areas, Shettima had a reason to be sad. Curiously, the situation in the state and environ is yet another verdict on the government of Buhari. Plateau State Governor, Simon Bako Lalong and his immediate predecessor, Jonah Jang, took each other to the cleaners recently, when they sparred over the ongoing killings in the state. 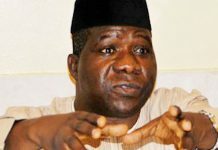 Lalong was reacting to comments attributed to Jang, where he accused Lalong of governing the state from Abuja. Jang, who spoke during a campaign rally for Jeremiah Useni, governorship candidate of the PDP, said he obviously did not build the Government House at Little Rayfield for Lalong to occupy. Again, as in many other states, the battle for 2019 in Plateau is one between the old and new brigades and a verdict on the two leading parties such that would determine their strengths and weaknesses. It’s another referendum in the waiting. Governor Udom Emmanuel of Akwa Ibom State has faced serious threats to his re-election in recent time, including attempts to impeach him. Curiously, he has survived and still surviving more minefields. But when he called on the people of the state for the umpteenth time to expect divine power and glory in individual and collective desires in the state in 2019 by handing the year to God, many could relate to his plight. Emmanuel told the people of Akwa Ibom to strengthen their faith in God in the coming election to avert the negative plans against the soul of the state, praying God to subdue the conspiracies of impostors to the surprise of the people of the state and the country. He didn’t speak in parables. His choice words are clear and direct to where intended. The election here would be more than interesting. Governor Muhammadu Bindow of Adamawa State has kept a low profile for some time now essentially because of a certificate scandal that was going to throw spanner in the works for him. Sadly, this scandal has refused to go away. But the matter took a probing twist last week, when a judge of the Federal High Court, Yola, Justice Abdulaziz Anka, stepped down as the presiding judge on the case of alleged forgery of West Africa Examination Council (WAEC) certificate against him. By standing down on personal reasons, the shock that arose from the action is the same that would typify the election in the state as the last has not been heard of the matter against Bindow. Those behind it are not resting on their oars either. Despite swirling allegations of non-performance against him, the Cross River State Governor, Ben Ayade savoured some support from some of the least expected quarters, when an elder brother to the governorship candidate of the APC, Senator John Owan Enoh, Professor Anthony Owan Enoh, as well as his other kinsmen unanimously endorsed Ayade for the 2019 governorship race. Also throwing their weight behind Ayade’s second term bid were top political leaders including former military Governor of Kwara State and leader of the delegation, Col. Palm Ogar (rtd), traditional rulers, youths and elders from the eight political wards of Etung Local Government Area, where Owan Enoh hails from. This has been considered a major setback to the campaign of the APC candidate even though he has brushed it aside as of no consequence, what is sure is that there are many forces both for and against the two candidates in this election and the election is for anyone to take. Since he left the PDP for the APC, the immediate past governor of Delta State and Delta South senatorial candidate, Dr. Emmanuel Eweta Uduaghan has been struggling frantically to stay relevant and prove to his APC folks that he was a force to reckon with in the state. Many simply waved it aside, when last week he said the achievements of President Buhari in the Niger Delta area and Delta State in particular, would make his re-election in the February presidential election easy. He spoke at the inauguration of the APC Presidential Campaign Council in Abuja last Monday. Truth is that Uduaghan knows that the Delta politics is beyond such pettiness or favour-seeking sycophancy. Only strong men play it and this is where he differs. He is believed to have shown only to be an opportunist in power, the type that can never compete on the Delta turf, except of course, he is yet to show a different stuff he is made of.